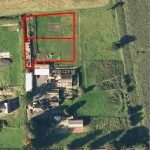 An opportunity to acquire and develop a residential building plot within easy reach of Dumfries, yet affording panoramic views over open agricultural land. 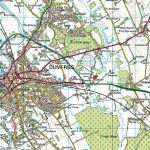 Outline Planning Permission, Reference 08/P/3/0657, was granted on 10th September 2010 for the erection of two dwellinghouses, installation of septic tanks and soakaway systems. 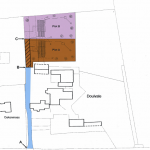 A copy of the Planning Permission may be obtained from the Selling Agents. 21 miles from Castle Douglas, 31 miles from Carlisle and 72 miles from the busy ferry port of Stranraer. The regional centre of Dumfries, some 2 miles distant, provides all essential services. The plot occupies an area to the rear of Douievale Farm steading and offer panoramic views to the north and east over open countryside. 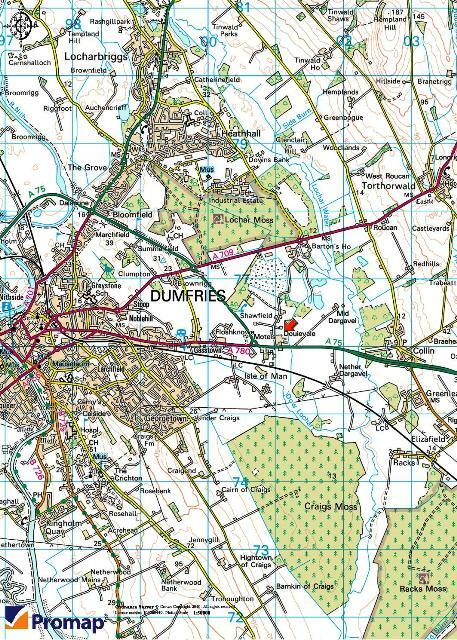 From Dumfries, leave the Dumfries bypass (A75) heading for Carlisle and the drive for Douievale is located on the left approximately 300 metres past Shell filling station. From Carlisle, take the A75 towards Dumfries. ¼ of a mile before Dumfries the Shell filling station is located on your left. Go round the roundabout and head back in the direction from which you have come and Douievale is on the left, as described in the directions from Dumfries. For further details please see the Location Plan which forms part of these particulars. 10th September 2010 (Planning Reference: 08/P/3/0657) for the erection of two dwellinghouses, installation of septic tanks and soakaway systems. A copy of the Planning Permission is available from the Selling Agents, Walker & Sharpe, during normal business hours 9.00am to 5.00pm Monday to Friday. 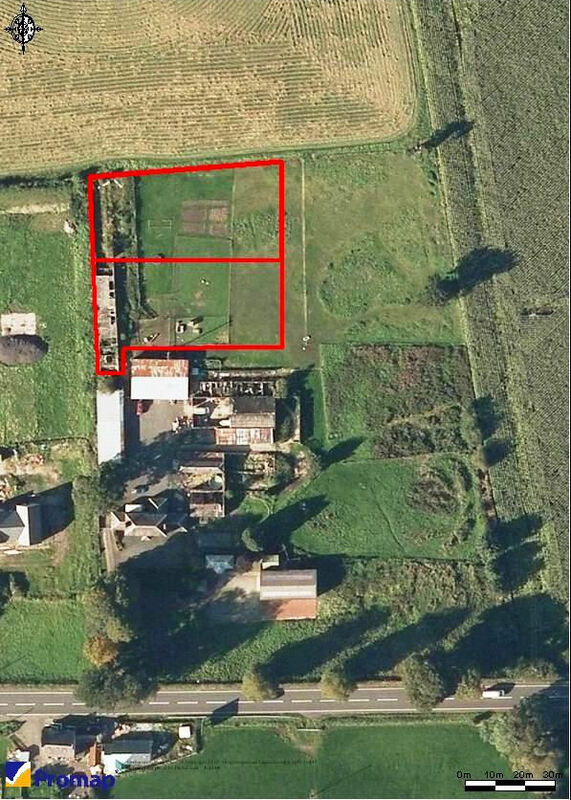 The boundaries of the plots are defined on the Sale Plan which forms part of these particulars. 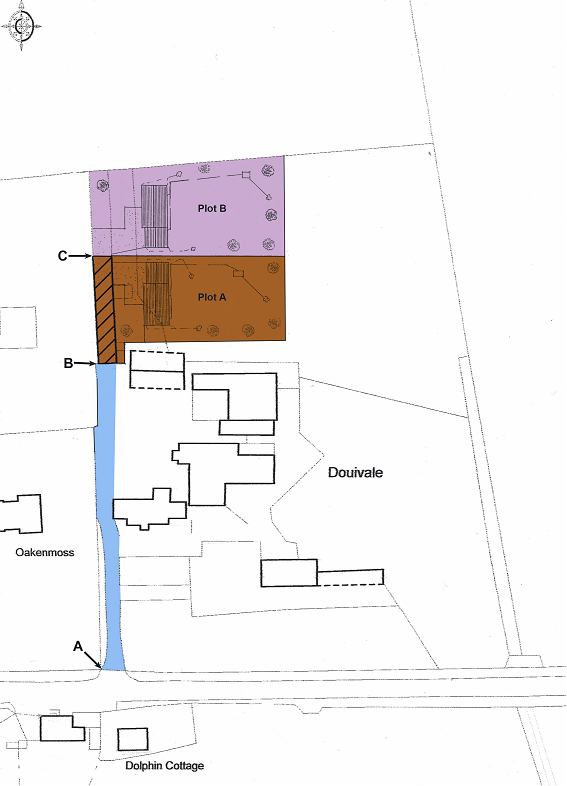 It should be noted that a servitude right of access will be granted in favour of the purchaser(s) of Plot A over the roadway coloured blue on the Sale Plan. Mains electricity, water and telephone are all within reasonably close proximity to the site and all necessary servitude rights will be granted to the purchaser(s) in terms of accessing said services. Offers must be submitted in writing to the Selling Agents, Walker & Sharpe, 37 George Street, Dumfries DG1 1EB. A closing date for offers may be fixed and prospective purchasers are advised to register their interest with the joint selling agents following inspection. The Seller does however reserve the right to sell the property without fixing a closing date or prior to the closing date. These particulars do not form, nor form any part of, any offer or contract. Any contract relating to the sale of the property shall only be capable of being entered into by the Seller’s Solicitors. These particulars are intended to give a fair description of the property, but Walker & Sharpe and the seller, do not accept any responsibility for any error they may contain, however caused. Any intending purchaser must, therefore, satisfy himself by inspection or otherwise as to their correctness. No person in the employment of Walker & Sharpe has any authority to make or give representation or warranty whatever in relation to this property nor is any such representation or warranty given whether by Walker & Sharpe or the seller of this property. These particulars are set out as a general outline only for the guidance of intending purchasers and do not constitute, nor constitute part of an offer or contract. These particulars have been prepared in good faith and accordance with the Property Misdescriptions Act 1991 to give a fair overall view of the property. If any points are particularly relevant to your interest in the property please ask for further information/verification. Prospective purchasers should note, however, that descriptions of the property are subjective and are used in good faith as an opinion and not as a statement of fact. Please make further specific enquiries to ensure that our descriptions are likely to match your expectations of the property.